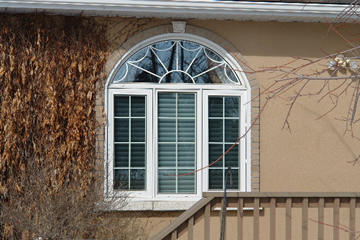 Casement windows allow you to control the air circulation by opening or closing the sash. 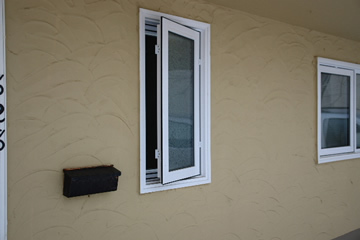 You choose the ventilation you want to acquire. Cleaning can be done from inside your home. The casement opens to a full 90 degrees. No more climbing ladders to clean both sides! 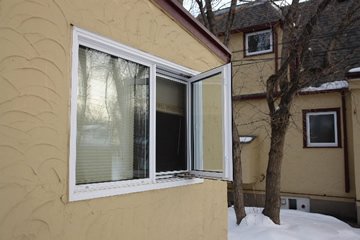 A casement window allows proper egress ( Manitoba Fire Code). 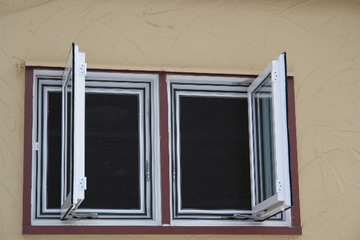 This type of window works great in bedrooms. You have the option with grills (brass, white or pewter) or no grills.